It’s unexpected. And modern. And it’s something that your guests will most certainly remember from your reception. 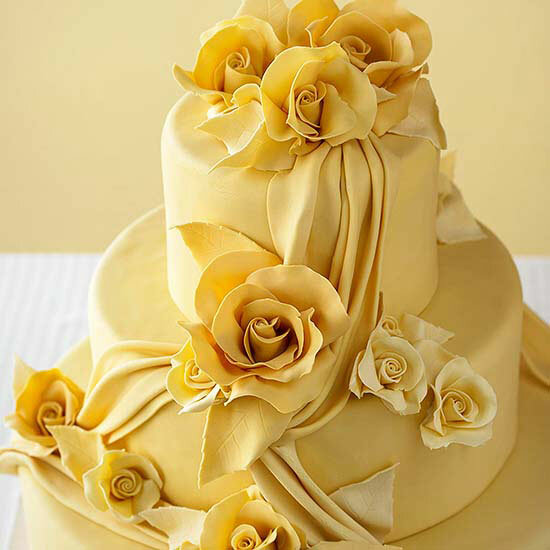 Of course, as with most colors, there are varying shades of yellow and when choosing a yellow cake one doesn’t want to go too bright or garish. But this butter yellow color – well, it’s practically perfect in every way. The elegance of the cake comes from the roses and swags that adorn the otherwise smooth icing of the cake. You can find this sunny yellow cake here.